In 1971 Americans Ted Dabney and Nolan Bushnell made history by developing the first ever coin-operated arcade video game known as Computer Space. Designed in black and white, it was extremely rudimentary by today’s standards, but served as an inspiration for thousands of budding game developers to build their own bigger and better games, just like those that populate the AVP (Alien vs. Predator) gaming universe. But before we delve into the history and future of AVP games, let’s take the briefest of looks at the evolution of video games in general. Public coin-operated video games were still very popular in the 1980s, but at the same time personal video gaming consoles were becoming more prominent. By owning their own consoles, players, along with their friends and families could enjoy a variety of games from the comfort, convenience and privacy of their own homes on their own TV sets. Recognising just how lucrative this burgeoning video gaming market could be, many firms tried and failed to develop, launch and market their own consoles in the 1980s. The most successful video game firms, however, included the likes of Atari, Commodore 64, Acorn Electron, MSX, ZX Spectrum, Amstrad CPC, Apple IIe, BBC Micro, Nintendo, Amiga, PC, Sega and Game Boy, the majority of which unfortunately no longer exist today. It wasn’t until 1994 that an enormous ‘game changer’ entered the global video game arena in the form of the PlayStation from Sony. As a last ditch effort by Sony to halt its declining profits, even the Japanese giant could not predict how successful its PlayStation video game brand would turn out to be with console sales in the hundreds of millions. The PlayStation virtually revolutionised the video game industry overnight due to its games that boasted superior graphics, speed and playability. Add to that its ergonomic and easy to use console and control, plus its regularly released titles, and PlayStation soon became the only video game console to own amongst video gamers the world over. It would take another 7 years before its first real rival showed up in the form of Xbox from Microsoft, and ever since the two video gaming market leaders have been trying to outdo each other. Only since the rapid growth and evolution of the internet and more recently smart mobile technology have gamers have been able to move away from gaming consoles for the ultimate convenience of online and mobile video games. Which brings us back to the evolution of AVP games in terms of where they’ve come from and where they’re going. 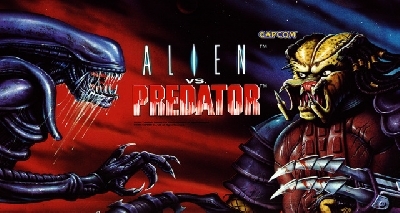 Unlike most video games that are conceived, designed and developed completely in-house by the respective game vendors, the seed for the first ever Alien vs Predator video game launched in 1993 by Super Nintendo Entertainment System was planted long before then. 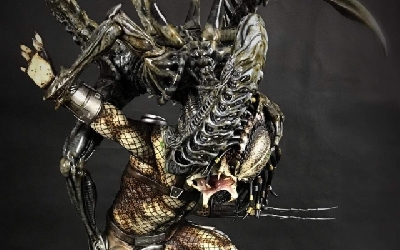 It did not hail from the basement of a video game firm, but a ‘crossover’ comic published by Dark Horse Comics in the late 1980s called Aliens vs. Predator, abbreviated as AVP. 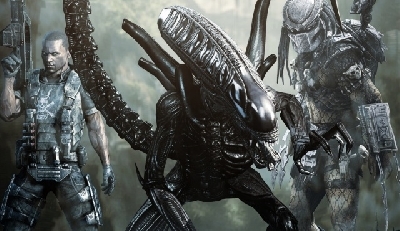 At the same time, many fans of AVP believe the idea for a mashup of these two successful franchises was born in Hollywood, when after years in development, Alien vs. Predator (AVP) finally hit the silver screen in 1994. 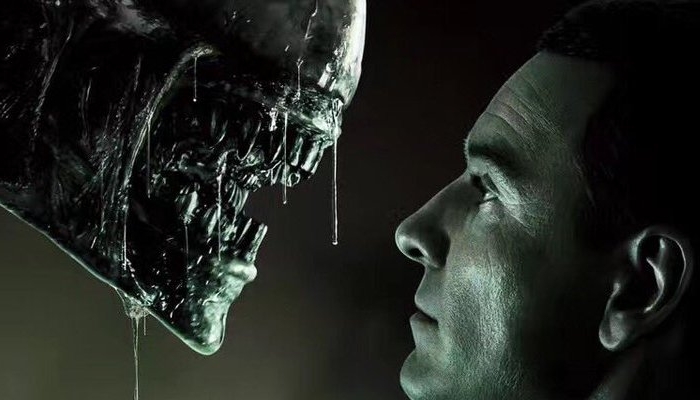 Although the idea of combining these two epic characters wasn’t well received by everyone (Ridley Scott, the director of the original Alien film, for instance, famously said in a 2012 interview that he couldn’t bring himself to watch this film, or its sequel). Interestingly, the film was produced by three of the same people who produced the original Alien film. Despite receiving lacklustre reviews, the film earned $172.5 million at the box office; almost triple its $60 million budget. This success spawned a sequel - Aliens vs. Predator: Requiem in 2007, which earned almost $129 million from a budget of $40 million. It wasn’t until the early 1990s, however, that the game developers at Nintendo started to formulate the concept for an Alien vs. Predator video game, which was finally launched in North America in September 1993, and the rest of the world not long after. The game is set on the planet Vega 4, where a team of human workers are tasked with digging a new subway system when they uncover alien pods which hatch. It isn’t long before the Aliens overcome the humans, but not before they manage to send out a distress call. However, the distress call is received by a nearby Predator star ship, and eager to hunt some new pray, they head to Vega 4 to take on the Aliens. Players take on the role of the Predator as they seek out and slaughter Aliens, progressing up through the game’s 6 levels the better they are. Before players can move up a level, they must face and defeat the toughest Alien on each level. In the last level, the Predators follow the retreating Aliens from Vega 4 to their home planet Orion Nebula, where the mayhem continues. 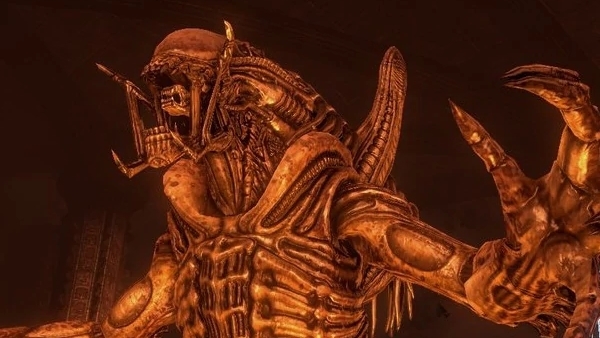 Once the planet has been sufficiently secured, players must head into the Alien hive where they must face the Alien Queen herself. Only once the Queen is defeated is the game over. This AVP video game was hugely popular all over the world which is why it inspired a slew of equally exciting follow-ups and sequels. These include Alien vs Predator: The Last of His Clan, which was released in North America in late 1993 for Game Boy. That was followed by an Alien vs. Predator arcade game in 1994, and after that Alien vs Predator for Atari later the same year. In 1999 both Windows and Apple (Macintosh) got into the AVP games action with Aliens versus Predator. This video game proved so successful that barely six months later its sequel was released called Aliens versus Predator 2 which was equally well received. In 2002, fans of this game celebrated the release of an expansion pack called Aliens versus Predator 2: Primal Hunt. As fun and exciting as all of these AVP games were, it was only when PlayStation 2 and Xbox released Aliens versus Predator: Extinction in 2003 that this alien universe reached a whole new level. Described as a ‘real-time strategy’ game, in this title a squad of Colonial Marines must face off against a group of Predators and a hive teaming with Aliens. With its superb setting, graphics, sounds and general gameplay, this game set the AVP bar very high. 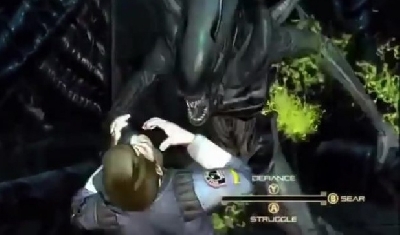 In 2004, many mobile phone users got their first taste of Alien vs. Predator, a game based on the first AVP movie. The game was fun and engaging despite the basic mobile phone technology of the day and was favoured by many players around the world. It was joined later that same year by another AVP mobile game with the exact same name. Fans of 3D games were treated to Alien vs. Predator 3D in last 2005, another game designed for mobile. Like its predecessors, it was also based on the original 2004 film. 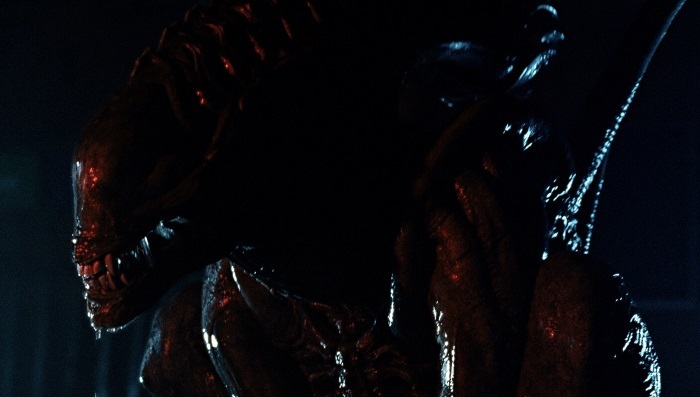 Not to be left out, Sony re-entered the AVP ring with its 2007 offering, Aliens vs. Predator: Requiem solely for PlayStation Portable devices. This game was designed to coincide with the release of the sequel movie of the same name. In fact, 2007 was a big year for Alien vs. 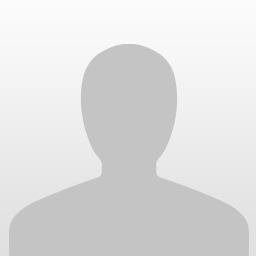 Predator video games as three more online games were released that year; AVP: Predalien Builder and Game, AvP: VU and AVPR: Combat Evolved, while Alien vs. Predator 2 2D: Requiem was also launched for mobile phones. Needing time to cool off from all the new AVP releases, it wasn’t until 2010 that the killer aliens resumed their intergalactic rivalry in the PC, Xbox and PlayStation 3 game Aliens vs. Predator. And that brings us to the most recent offering, AVP: Evolution which was launched in 2014 for iPhone, iPad, iPod Touch and Android devices. What is the Future of AVP Games? Although there are no current rumours of a third and most welcome Alien vs. Predator film to be released anytime soon, it would be welcomed by its core fans around the world, and no doubt inspire a whole new series of console, online, mobile and other platform games. For instance, AVP even inspired Aliens online slot which is showcased at NoDepositFriend. But as to what the future of AVP games is, that’s hard to say. Whether this billion dollar franchise continues where the most recent offering left off is hard to predict. A key (film and game) industry term these days is ‘reboot,’ so there is always hope that these constantly duelling extra-terrestrials will return one day in a brand new or ‘re-booted’ game near you. 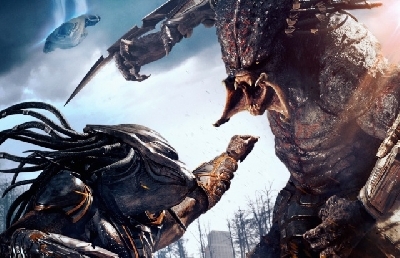 AVP movie came out in 2004. 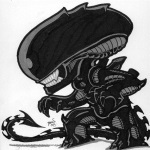 Yes development started in 1994 but the 1994 version of the movie was going to be faithful to the comics as in an adaptation of Aliens versus Predator Prey; then it was forgotten about before development restarted back up around the early 2000's and the story was changed from a space/alien planet setting to a present day earth one. I loved the Aliens versus Predator 2 game, i also had the SNES one and played the Arcade Games oh and the first PC AVP which i thought was not as good as its sequel. I have other AVP games that came out on the Original Xbox, that was ok, i have the Xbox 360/PS3 game which i sadly only played once or twice as when it came out i just came to a point in my life where i had problems and never motivated myself to playing games or other stuff much since 2010. I have many games and movies since then that still remain in their Shrink Wrapped Packaging. But i certainly do see a Future for the AVP series as far as Games and i think Disney would do well to License a AVP Game that incorporates the Alien Prequels.. A very well made AVP game with Engineers etc, if done right could make a good return and allow Disney to Gauge if making a Re-boot AVP Franchise would be a good idea. I'm really hoping that Comcast is going to buy out 20th Century out from underneath Disney.